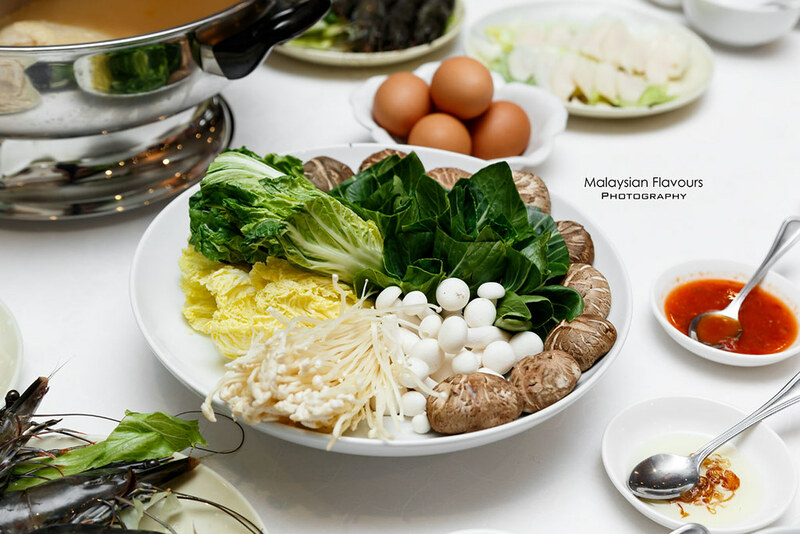 Enjoy a meal with hot pot filled with simmering broth , then have tasty ingredients like dumplings, wontons, eggs, tofu, prawns, chicken, fish fillet, sliced beef, vegetables and more cooked in it – Steamboat, our favourite. 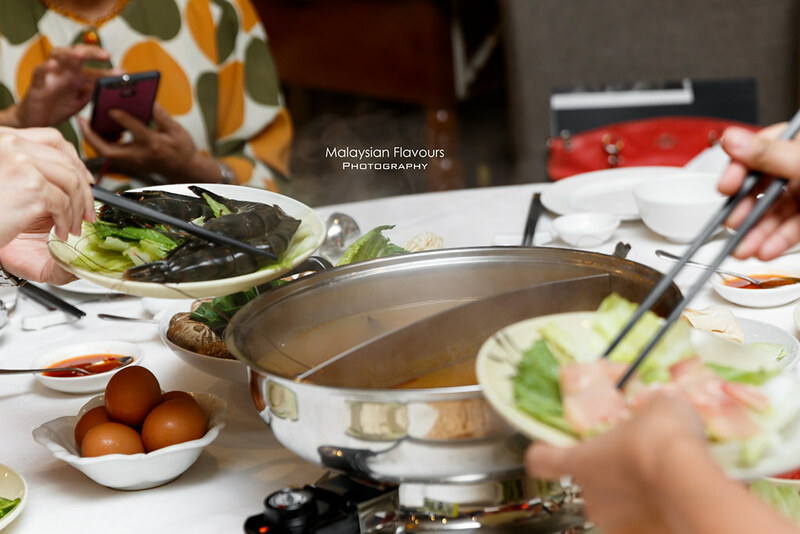 Dynasty Restaurant, the pork-free Chinese Restaurant at Renaissance Kuala Lumpur Hotel has recently launched their Hot Pot to Share promotion, inviting guests for healthy, delicious hot pot dinner, available daily. 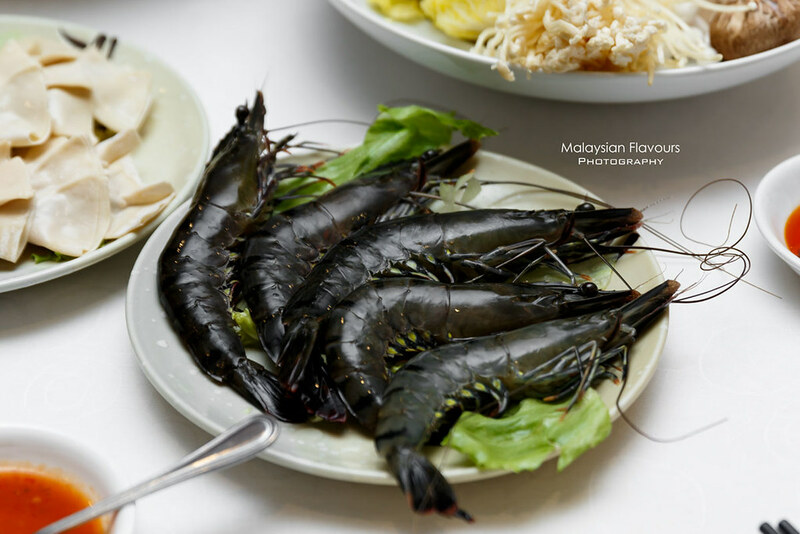 Diners can opt for a-la carte selections starting from RM8nett, or order all-inclusive set menu at only RM68.80nett per person, available for a minium of two persons. 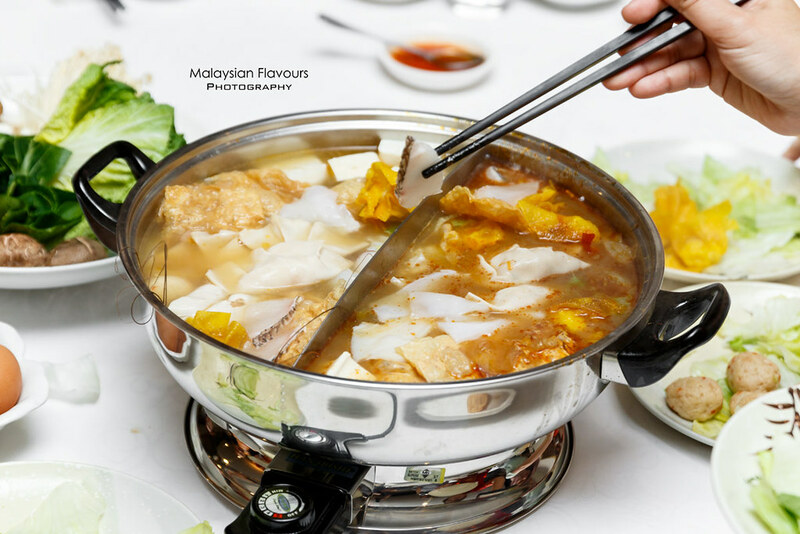 There are 4 types of soup to choose from, namely herbal chicken, superior clear soup, vegetarian corn soup or tom yum soup. Want to have two flavours in one go? 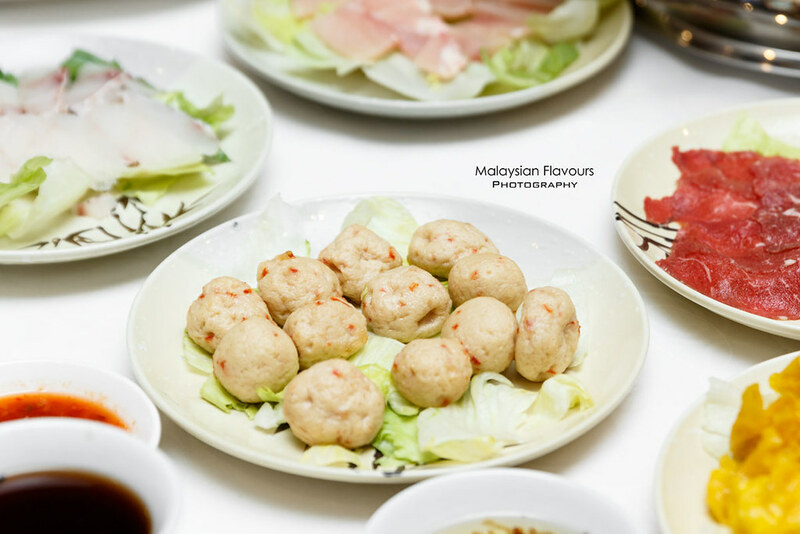 Just add RM10 per person for additional soup. 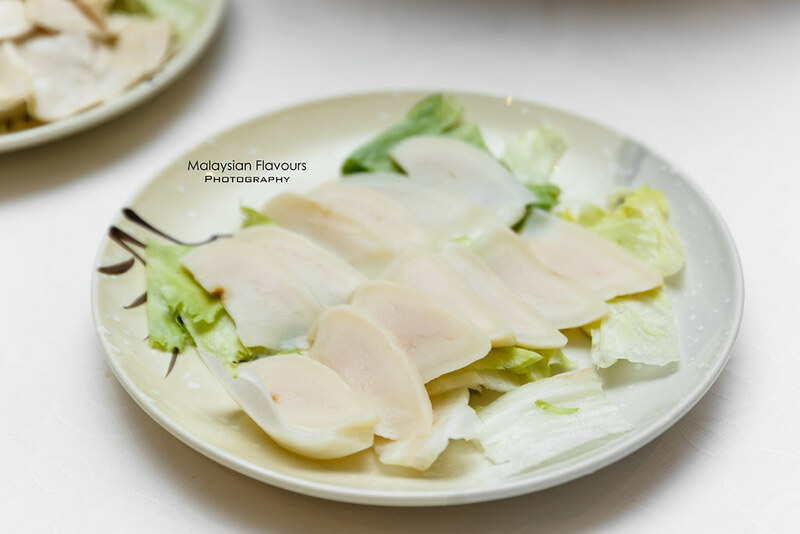 We went for the set meal, which included soup of your choice and fish fillet, freshwater prawns, sliced chicken, slice beef/money pouch, fish paste, squid, Fu Kwei abalone, chicken wanton, chicken dumpling, tofu, crispy gluten, assorted fresh mushrooms, vegetables, egg, udon/ee fu/meehoon. Look at the spread. 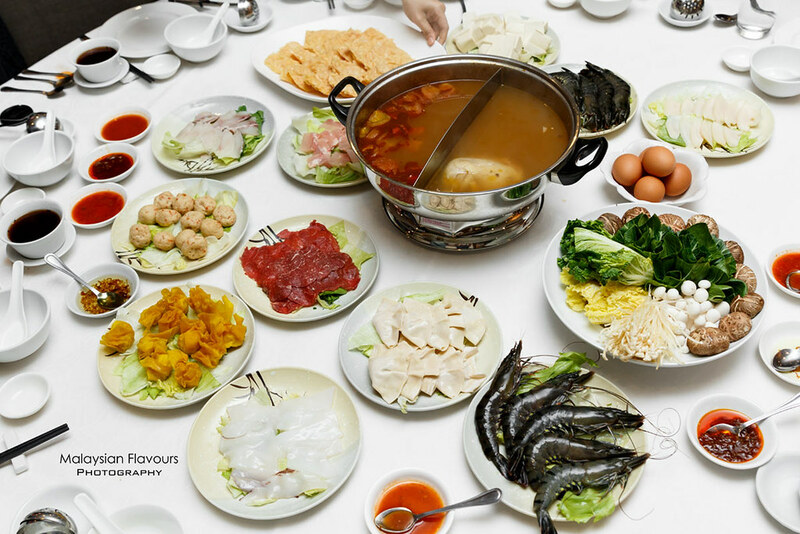 There’s more than 10 types of hot pot ingredients in the set! Protein, vegetables, carbs, all in! 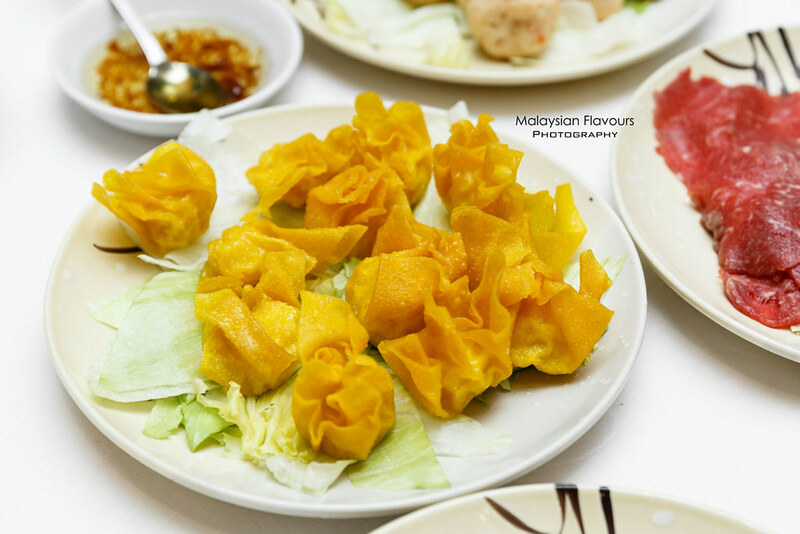 Our favourite are chicken wonton, sliced beef and fish paste. 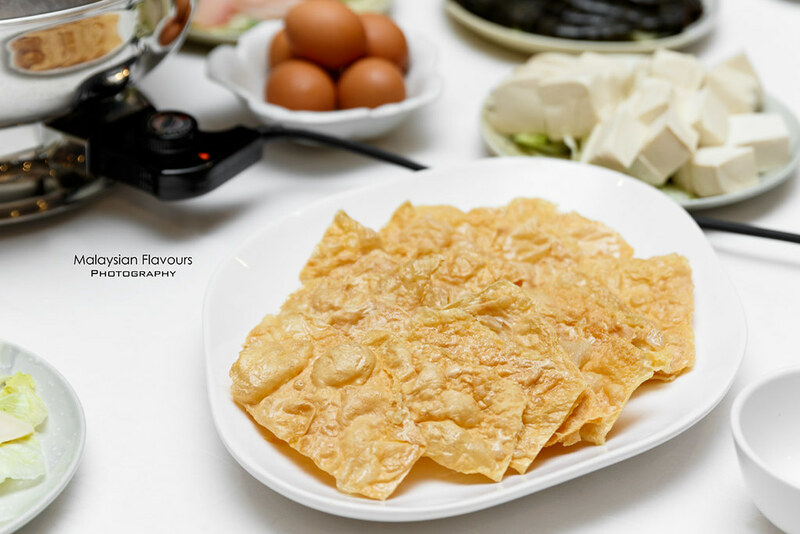 Do order money pouch if you haven’t tried before, it is one of the all-time-signatures in Dynasty Restaurants. 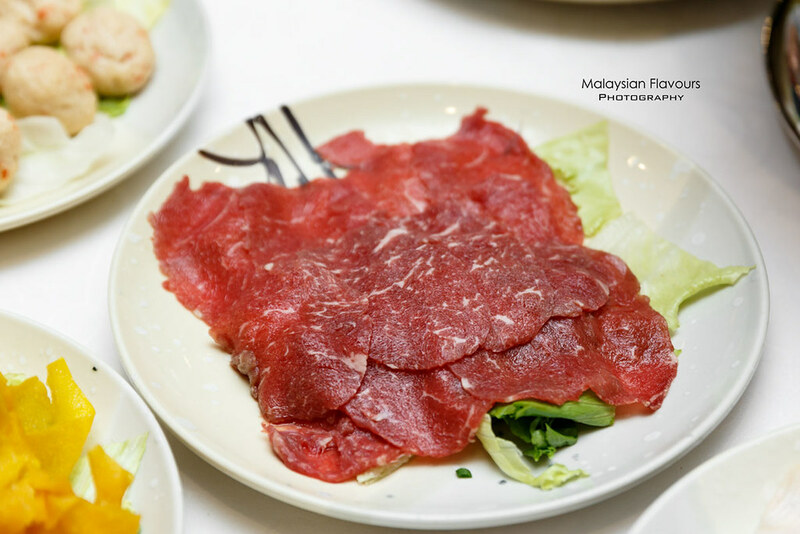 To make your hot pot dinner merrier, you can add on ingredients like Australian abalone, baby abalone, sliced sea cucumber, sliced beef, cod fillet, white prawns, chicken strips, mussels, prawn wanton, green vegetables, bean curd, enoki mushooms and noodles. 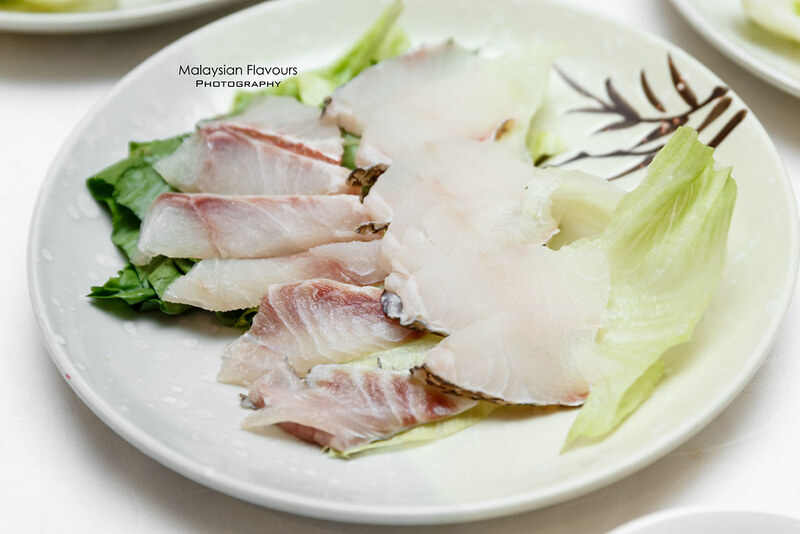 Quite an interesting ala-carte selections, as not all hot pot menu offers premium choices, especially sliced sea cucumber and fish maw. 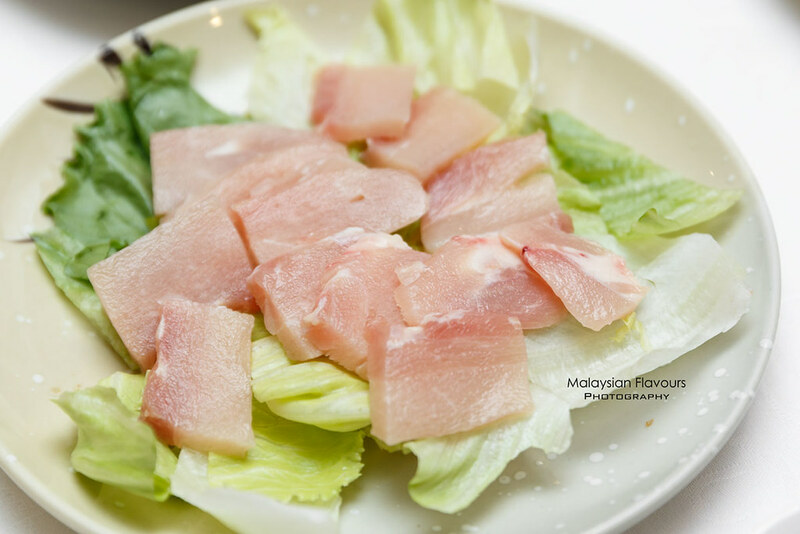 Something that makes Dynasty Restaurant Hot Pot different. 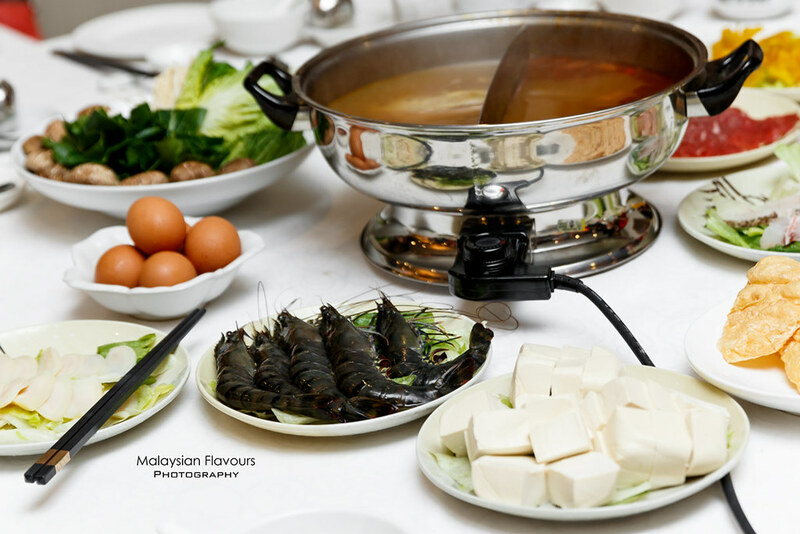 Book your table now and share the fun of hot pot with your friends, families or colleague!